$299.99 (4.25g) ANCIENT GOLD EARRINGS MOON ROMAN Greek BEAUTIFUL 18 K Gold Very Rare! 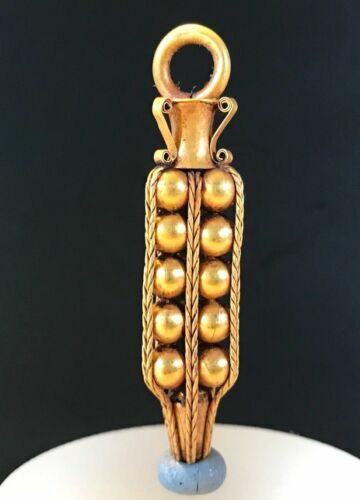 $287.99 (4.65g) ANCIENT PENDANT BIRD GOLD 18 K GREEK ROMAN BEAUTIFUL Very Rare!! $1200.0 Ancient Islamic Gold Ring with Bactrian Agate Ca. 1000 B.C. $1495.0 Ancient Roman Set of gold Earrings and ring, Circa 1st Century AD. $1104.15 ANCIENT ROMAN GOLD AMPHORA - 100 B.C. - 100 A.D. - CHOICE ITEM! 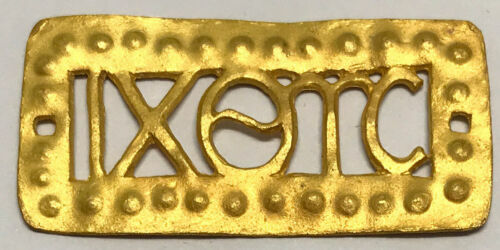 $765.0 ANCIENT ROMAN GOLD DECORATED PENDANT 100 BC - 200 AD! CHARMING PIECE OF HISTORY! 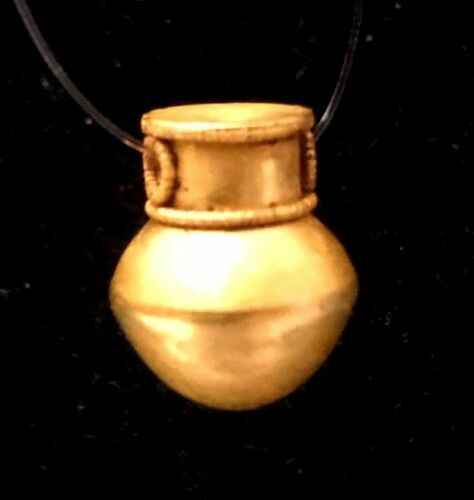 $722.5 ANCIENT ROMAN GOLD DECORATED AMPHORA PENDANT 100 BC - 200 AD! 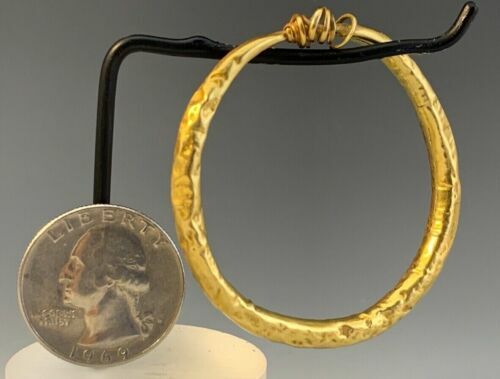 $1360.0 HUGE ANCIENT ROMAN GOLD TAPERED EARRING / BRACELET! 100 B.C. - 200 A.D. RARE! $1359.15 ANCIENT ROMAN DECORATED ROMAN GOLD EARRINGS; 100 BC-200AD! ELEGANT & RARE! Buy: $1200.0 Very Rare Ancient amulet / pendant Never Open !!! 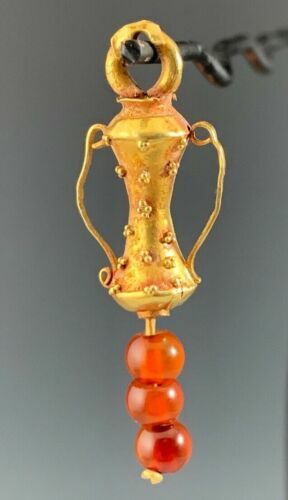 $2762.5 ANCIENT ROMAN GOLD DECORATED AMPHORA PENDANT 100 BC - 200 AD! STUNNING! $1200.0 APHRODITE - NGC CERTIFIED BYZANTINE HERACLIUS GOLD SOLIDUS, 610-641 A.D.
$89.0 Ancient Roman Senatorial Legionary Gold Silver ring Inscribed one letter " N "